Atik is a WooCommerce compatible theme, which means that in order to have the e-commerce functionality, you will need to install and activate the latest WooCommerce version. We are not going to cover any in-depth WooCommerce related topics, since you can easily find the related documentation at the official plugin page here. However, we are going to go through a very quick introduction on how to create Categories and Products for your store. Let’s get started. The page comes with inline help, so you will not have trouble to figure out how things work. Products will show only products at the category page. 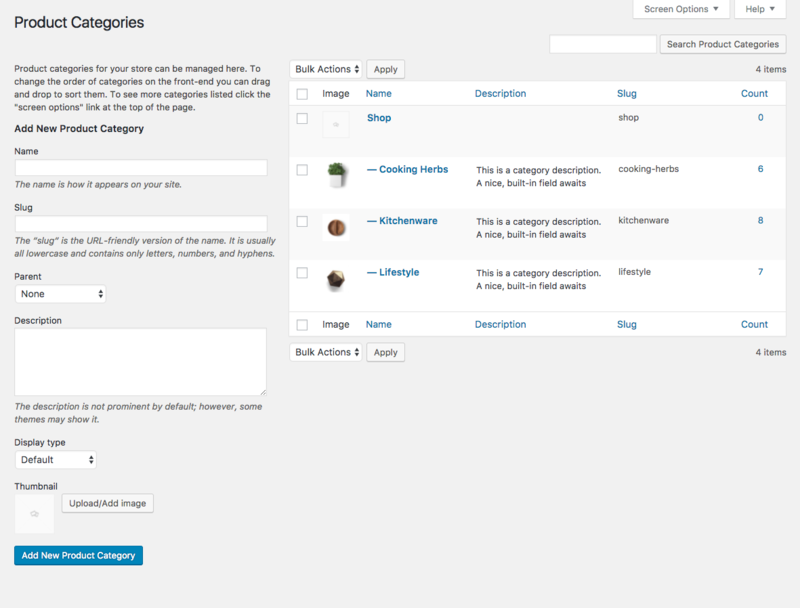 Subcategories will show a list of subcategories and the number of products at each one of them. Both will show both the subcategories links at the top and the products right below. Here you can assign an image to each category. For the scenario that you choose to also show subcategories to your category page, the theme will use these images assigned here as your category images. Products of course are the most vital elements for your store. You should not face any difficulty to set them up, but in case you do you can always refer to the WooCommerce documentation, on how to set up the products. 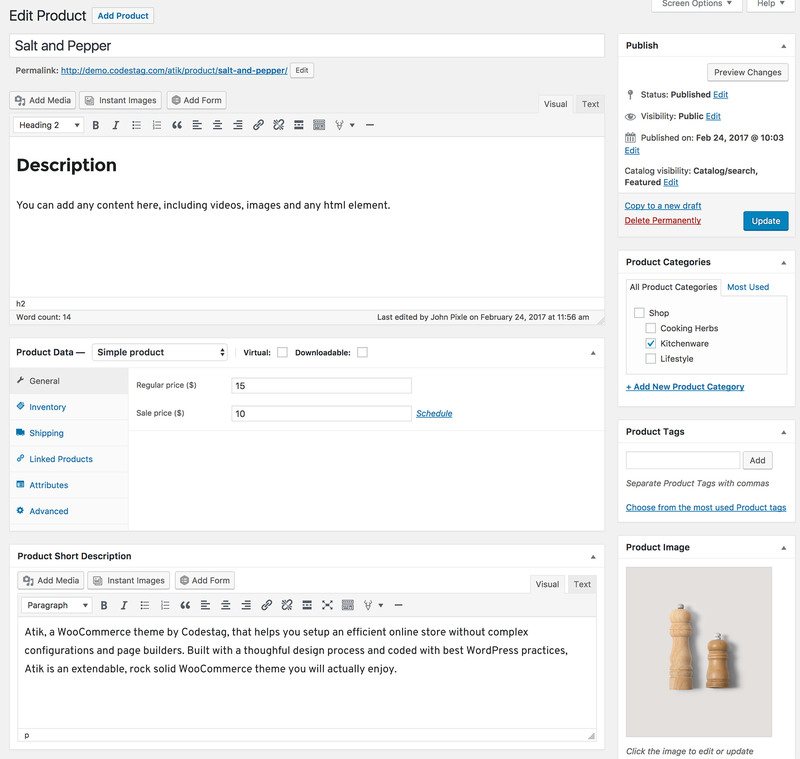 Main editor content: This content will appear at the “Product Description” tab right under the product’s main image. The short text (short description) that appears on the right side of the product’s main image is the content of the “ Product short description” panel.